Plug in modules for expanding the Coral system with analog or digital I/O. I-87000 Plug in module for 8 Thermistor inputs. 8 Digital Outputs also included. The I-87013W provides 4 channels for measuring 2/3/4 wire RTD of Platinum 100/1000 and Nickel 120 types. The I-87015W provides 7 channels for measuring 2 or 3 wire RTD of Platinum 100/1000, Nickel 120 as well as Copper 100/1000 types. The I-87017RW provides 8 differential Analog Input channels capable of measuring Voltage or Current (using external 125R Resistors). This unit also offers 240Vrms Over Voltage Protection. The I-87017RCW provides 8 differential Analog Input channels capable of measuring Current without the need for external resistors. The I-87017W provides 8 differential Analog Input channels capable of measuring Voltage or Current (using external 125R Resistors). The I-87018W provides 8 differential Analog Input channels capable of measuring Voltage, Current (using external 125R Resistors) or Thermocouples. The I-87018ZW provides 10 differential Analog Input channels capable of measuring Voltage, Current (using external 125R Resistors) or Thermocouples. This unit also provides 240Vrms Over Voltage Protection and Open Thermocouple Detection. The I-87019RW provides 8 differential Analog Input channels, each individually configurable for measuring Voltage, Current (jumper selectable) or Thermocouples. This unit also provides 240Vrms Over Voltage Protection and Open Thermocouple Detection. The I-87019ZW provides 10 differential Analog Input channels, each individually configurable for measuring Voltage, Current (jumper selectable) or Thermocouples. This unit also provides 240Vrms Over Voltage Protection and Open Thermocouple Detection. The I-87024W provides 4 channels of Analog Output. The I-87046W provides 16 channels of non-isolated Digital Input, capable of handling Dry Contact connections up to 500m away. 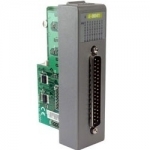 The I-87051W provides 16 channels of non-isolated Digital Input/Counters. The I-87052W provides 8 channels of isolated Digital Input/Counters. The I-87053W provides 16 channels of isolated Digital Input/Counters. The I-87054W is an Isolated Digital Input (8 channel) and Digital Output (8 channel) unit. It's inputs can be configured as 16-bit counters if required. The I-87055W provides 8 channels of non-isolated Digital Input/Counters and 8 channels of non-isolated Digital Output. The I-87057W provides 16 channels of isolated Open-collector Digital Outputs. The I-87064W provides 8 channels of Power Relay Output. The I-87065W provides 8 channels of AC-SSR Relay Output. The I-87066W provides 8 channels of DC-SSR Relay Output. The I-87068W provides 4 channels of Form A and 4 channels of Form C Relay Output. The I-87069W provides 8 channels of Photo-MOS Relay Output.